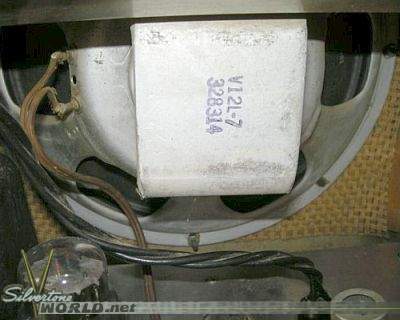 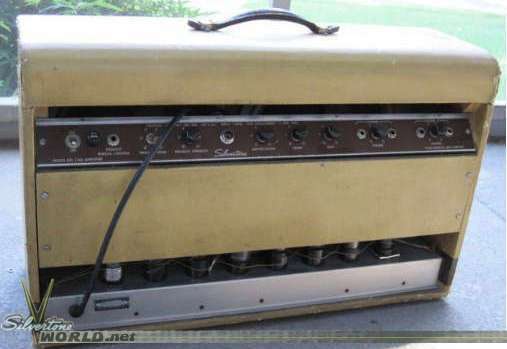 The 1346 was an unusual looking amp. 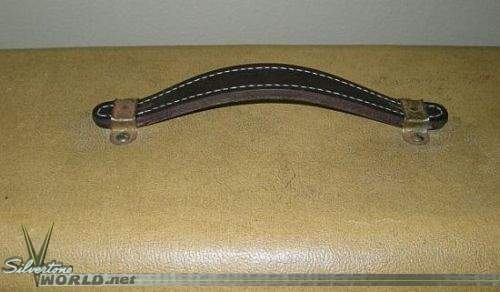 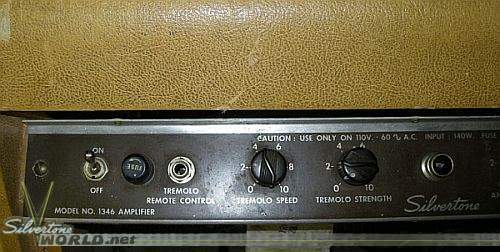 I always thought it looked like some kind of futuristic audio weapon... but that's just me. 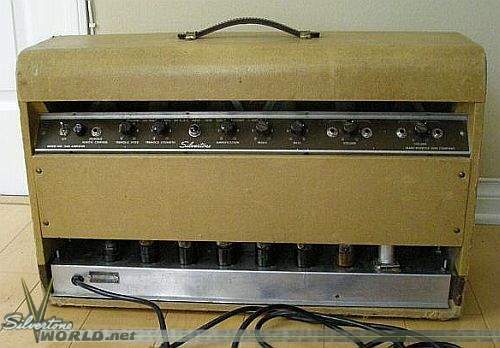 Dano-built, dual-control tremolo, LOTS of tubes, LOTS of power, but a real rarity. 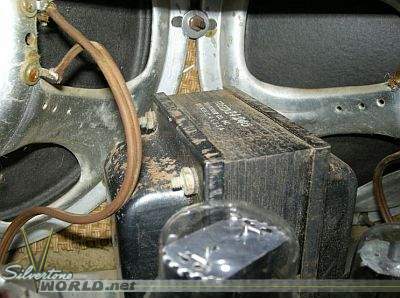 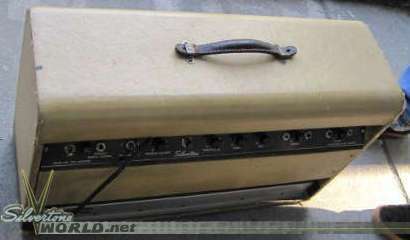 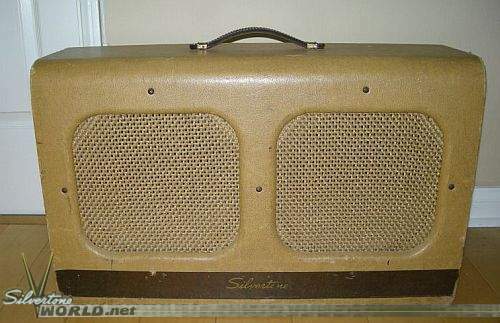 I've only seen a few over the years, and these pics represent a couple of nice examples of this amp. 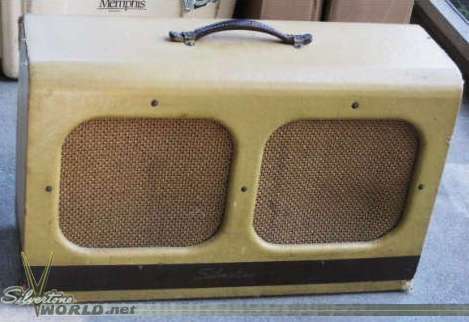 Many of the hallmarks of Dano-built Silvertones to follow are in this amp: the double-decker construction, rounded edges, top-edge controls, subtly contrasting colors, nice grill. 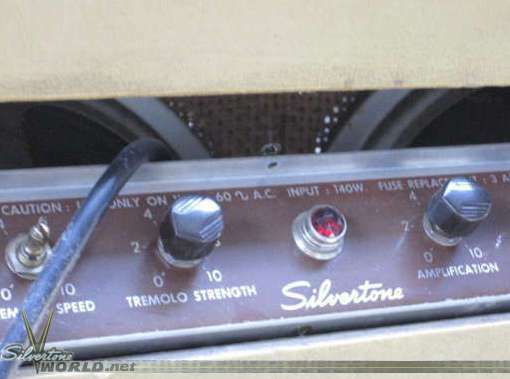 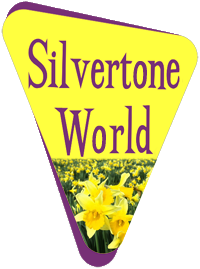 For the years it was offered, the 1346 was top of the Silvertone line. 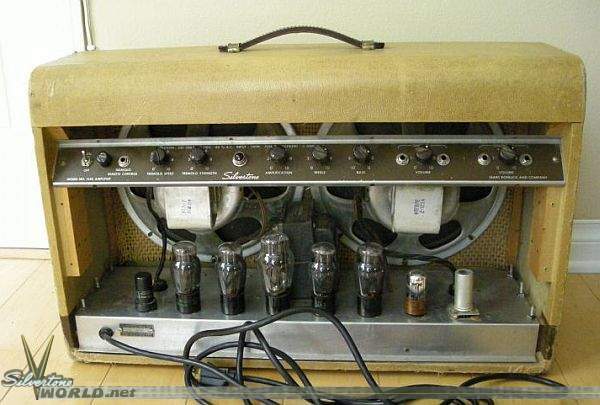 During this period, the amps offered by Sears were a mixed bag at best; some made by Valco, some Dano (like this one, along with the 1344, the first Dano-built Silvertone amps), design, colors and materials all over the place. 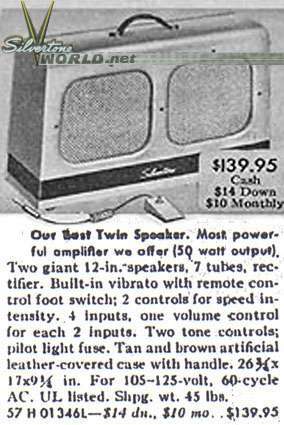 But the 1346 was the very first 'twin-twelve' amp offered by Sears.